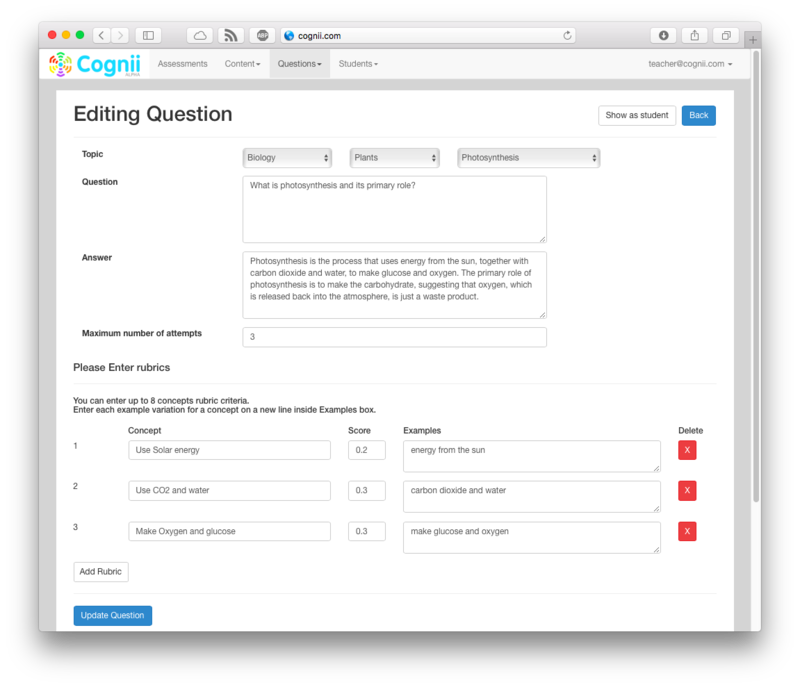 Convenient, standalone platform that integrates the Cognii Virtual Learning Assistant for students and Cognii Analytics for instructors. All-in-one solution for AI-based learning. Feedback and tutoring available any time. Easy course set-up and login. No technical integration work required. Simple templates for content authoring. Engages students in personalized tutoring conversations, with immediate scoring and feedback on written answers to open-response questions. Focuses on ideas and higher order thinking skills. Personalized coaching to improve understanding. 95% student satisfaction in extensive field-testing. Useful in any subject area, grade 3 and up. Powered by Cognii Assessment Engine. Uses Artificial Intelligence to provide immediate and highly accurate assessment of the ideas in short written answers. 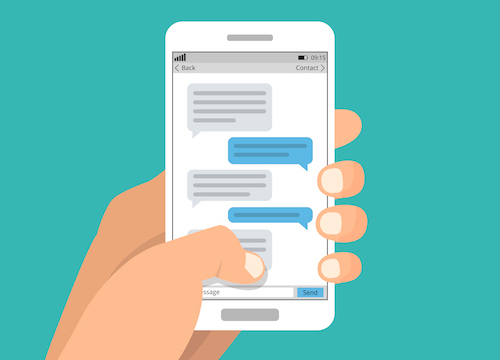 Unique Natural Language Processing technology. Assesses deep understanding and critical thinking. Accuracy comparable to human scoring. Available as part of Virtual Learning Assistant or separately. Works in any subject area, grade 3 and up. 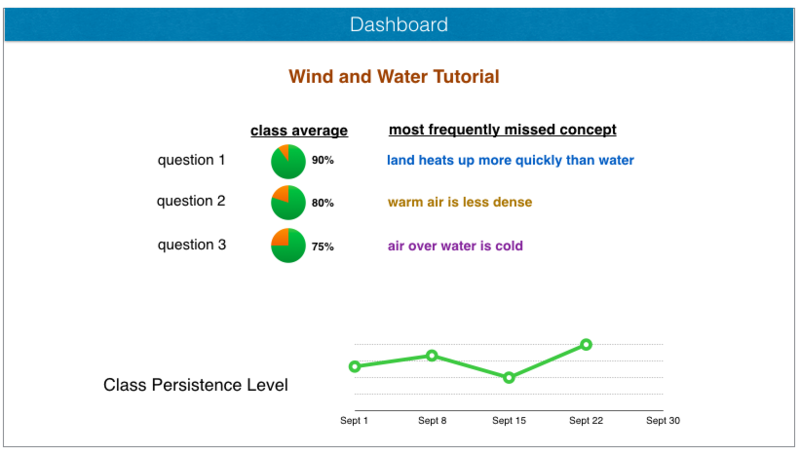 Displays real-time insights for educators within the Cognii Learning Platform, with unique high-resolution data useful for personalization and intervention. Knowledge gaps and mastery revealed at the concept level. Graphical overviews at the level of class, student, question or specific concept. Ability to "replay" any Cognii-student exchange or virtual tutoring. Integrated within the Cognii Learning Platform. Cognii products can easily be integrated within existing digital platforms and products. API integration for maximum flexibility and seamless user experience. 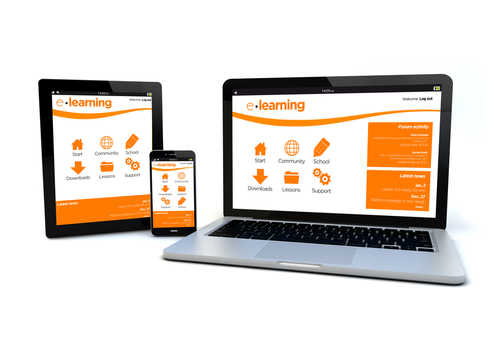 LTI available to integrate Cognii Learning Platform in most standard platforms. 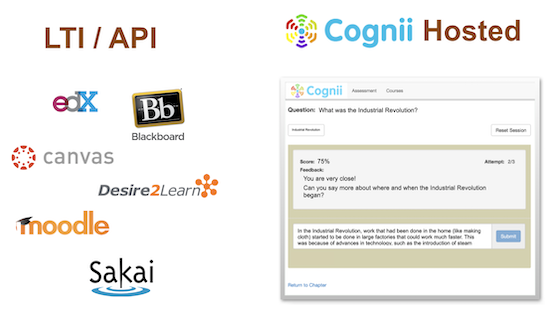 Cognii works with content supplied by teachers and partner organizations to create customized learning and assessment tools. The unique authoring process is simple and streamlined. No need to create knowledge map. 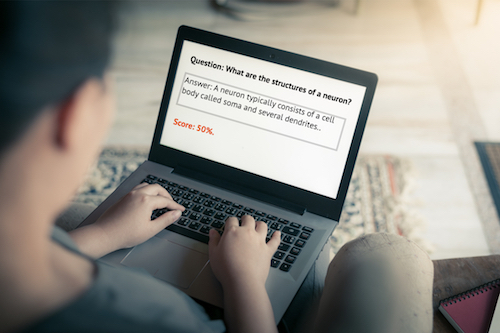 No need to provide hundreds of scored model answers. At Cognii, our mission is to improve the quality and affordability of education with the help of advanced technologies.